By Captain Robert B. Workman, Jr., USCG (Ret. 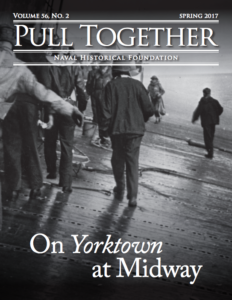 ), Naval Institute Press, Annapolis, MD (2012). By Robert Gandt, Naval Institute Press, Annapolis, MD (2010). 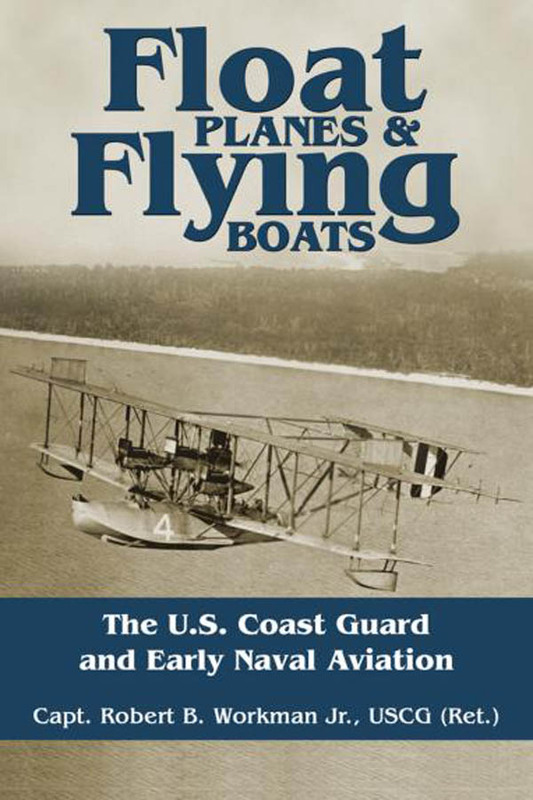 The common thread between these two books is the Navy’s part in the development of the flying boat that shattered records with the inauguration of airmail and commercial air service across the Pacific and later Atlantic oceans. Captain Workman’s book covers the years of advancement and growth that led to the “Age of the Great Flying Boats” described in Gandt’s book. Gandt bring the story to life as he describes the human factors involved in the third decade of powered flight. Frustrated by a lack of information specifically about the Coast Guard’s aviation heritage, Captain Robert B. Workman, a retired Coast Guard aviator flying helicopters and fixed wing aircraft, has researched this often overlooked history. The result was Float Planes & Flying Boats, a balanced work that gives full credit to the important contributions made by Coast Guardsmen. It was thanks to their creativity, skill, and determination, along with efforts by the other sea services, that great strides were possible in a short time. This book sheds new light on the invention of the float plane and flying boat as they became more seaworthy and reliable. Men from all three branches of the sea services: Navy, Coast Guard, and Marine Corps worked as a unified team from 1911 to the end of World War I. These pioneers of early naval aviation shared a common bond as they flew and trained together. Workman presents a complete picture of naval aviation’s rapid development between 1911 and 1938. 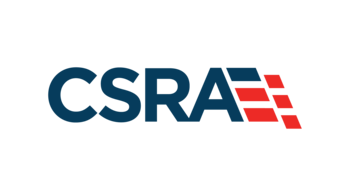 There is special emphasis on the important contributions of the U.S. Coast Guard. The chapters on the design and assembly of transatlantic flying boats and then the first transatlantic flight are fascinating as they describe the difficulties and solutions to build a suitable large flying boat. The remaining chapters discuss Coast Guard and Marine Corps aviation as it developed to support their service missions. Chapters on catapults and aircraft carriers from 1917 to 1926 explain the solutions of the many problems encountered. From 1930 to 1935 there was technical growth and advancement as new aviation missions were expanded. The abundance of photographs in this volume is a special bonus. Many have not been seen in other books on seaplanes. Nearly 300 vintage photographs and interesting text was the result of extensive research that weave together a story of the birth of naval aviation and the pivotal role played by the U.S. Coast Guard. Many of the photos were tucked away in distant archives. The appendices include: A time line of events (1776 – 1938); Technology Inspired by the First Transatlantic Flight 1919 – 1938; List of Acronyms, Abbreviations and Rank Structures; and Photograph and Document Credits. There are also copious endnotes and a detailed index. 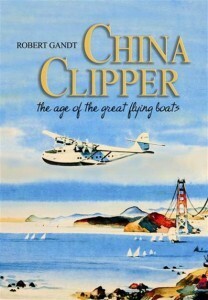 China Clipper was first published in 1991, and then republished in 2010 on the 75th anniversary of the China Clipper’s maiden Pacific flight from California to the Orient on 22 November 1935. The inauguration of airmail and commercial air service across the Pacific was recognized as one of the most significant events in aviation history. Author Robert Gandt was a naval aviator and later an international airline pilot. His long association with Pan Am inspired China Clipper, a book that relives the mystique of the great commercial flying boats. Gandt’s background made him well qualified to relate the rich legacy of the China Clippers. He examined the political, military and economic forces that drove the flying boats’ development and how aeronautical advances made the aircraft possible. 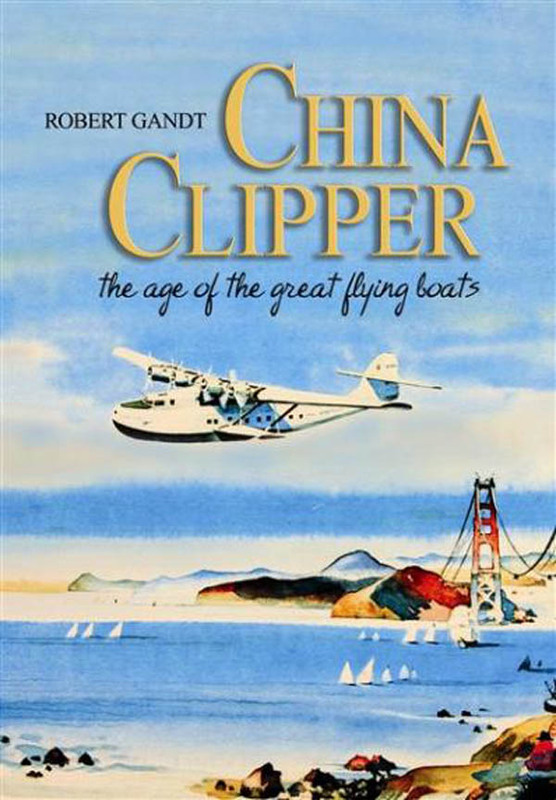 China Clipper fully documents the dramatic story of the rise to fame and the fall from glory of the flying boats. From Glen Curtiss to giant flying boats, here are all the great flying boats of American genius, as well as foreigners, from the pen of an accomplished Naval Aviator and excellent writer. The early seaplanes and great boats are covered in interesting detail. As documented in Workman’s book, Navy pilots participated from the beginning, along with civilians. Navy Lt. T.G. Ellyson (Naval Aviator Number 1) and civilian Glen Curtiss launched the Navy into the age of aviation when, in 1911, they devised a float arrangement consisting of a pair of wide, planing “sea wing” pontoons, installed in tandem, which they “flew” from the surface of San Diego Bay. Ellyson then gave the Navy a demonstration, flying from North Island to the USS Pennsylvania, landing alongside the battleship, being hoisted aboard by crane, and later lowered into the water to fly home. In World War I the Navy used updated versions of Curtiss flying boats as trainers. After World War I, Commander John Towers (Naval Aviator Number 3), proposed the newest class of the Curtiss boats, the NCs, should be the first to fly the Atlantic. By the Spring of 1919 Towers commanded a unit of navy men began the evolution of flying the Atlantic. In June 1934, C.H. “Dutch” Schildhauer, a former navy pilot and flying boat devotee, began to accumulate knowledge to begin a Pacific operation. The 2,400 mile segment from California to Hawaii would be the longest commercial route ever attempted. Beyond Hawaii were the safe havens of Midway and Wake, and further west, Guam and the Philippines. Juan Trippe petitioned Secretary of the Navy Claude Swanson for permission to operate through these island groups and to construct marine facilities on Midway, Wake and Guam. Fortuitously, Trippe’s plan dovetailed with the navy’s concerns in the Pacific. Gandt tells how Ed Musick, Naval Aviator Number 1673, was chosen to fly the China Clipper (NC 14716 -“Sweet 16″) on its inaugural flight to the Orient, departing from the Alameda Seaplane Base, San Francisco Bay, in November 1935. Airmail made the trip financially possible. Oahu, Midway, Wake and Guam served as transpacific bases. 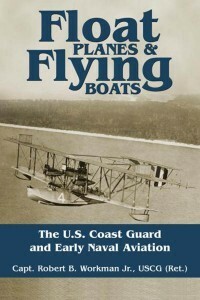 The author describes the use of flying boats in other countries such as Germany, Great Britain, Russia and France. Claude Dornier was an important designer for Germany, most notably for the Do X. Its development is enhanced with illustrations. In January 1942, shortly after the U.S. entered World War II, the Navy took over Pan Am’s M-130s and Boeing 314s, along with airline personnel who entered the Navy service. NATS (Naval Air Transport Service – founded in December 1941) had a contract to operate a wartime transatlantic route between New York and Foynes, Ireland. All these “Flying Aces” wore subdued navy camouflage of sky blue on top and light gray underneath. Large America flags were painted on their bows. Gandt tells how the age of the great flying boats came to an end with the crash of China Clipper on 8 January 1945 at Port of Spain, Trinadad. Not only had this great aircraft opened the international routes to the Pacific, but in World War II, during a wartime mission to the Belgian Congo, she brought back a cargo of uranium that would be used in the top-secret Manhattan Project – the first atomic bomb. The author says, “The harsh realities are often blurred in latter-day re-counting where mystique substitutes for fact.” Gandt is a great story teller with personal knowledge of much he relates. His book is entertaining while remaining a standard reference. China Clipper has 32 pages of illustrations of flying boats, from Glen Hammond Curtiss, “father of the flying boat,” to the China Clipper. The appendices include 14 pages of line drawings by Capt J. P. Wood (Skygod Emeritus), all drawn to scale. There are four charts comparing ten different flying boats, and ample footnotes, citing sources used by the author providing further details. The author then lists primary and secondary sources, followed by the Index. Jan Churchill is an author, historian, and pilot rated in seaplanes. Hi. I went to a small prep school in Washington many years ago where Bob Workman was a classmate. Glad to see he has had a great career. Give him my regards when possible.